Ms. Ovie Hollis, second from right, turned 83 years young Friday. The legendary queen of Cannon County biscuit bakers still is delivering children to Woodbury Grammar School and making pies at Joe's Place for everyone to enjoy. 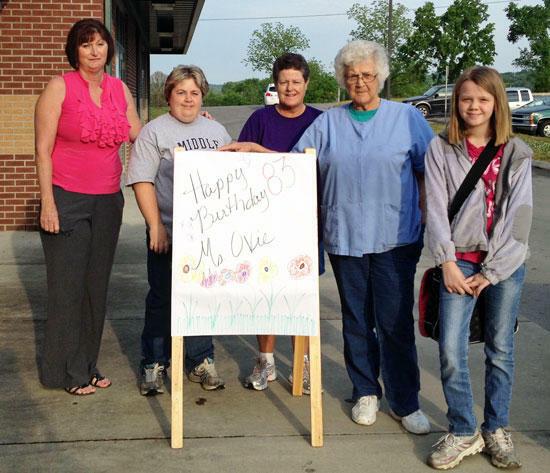 The school, including Principal Bonnie Patterson, far left, honored her with a big card Friday morning as she came through the parent drop off lane. What an amazing woman! She is one amazing lady and a wonderful cook.